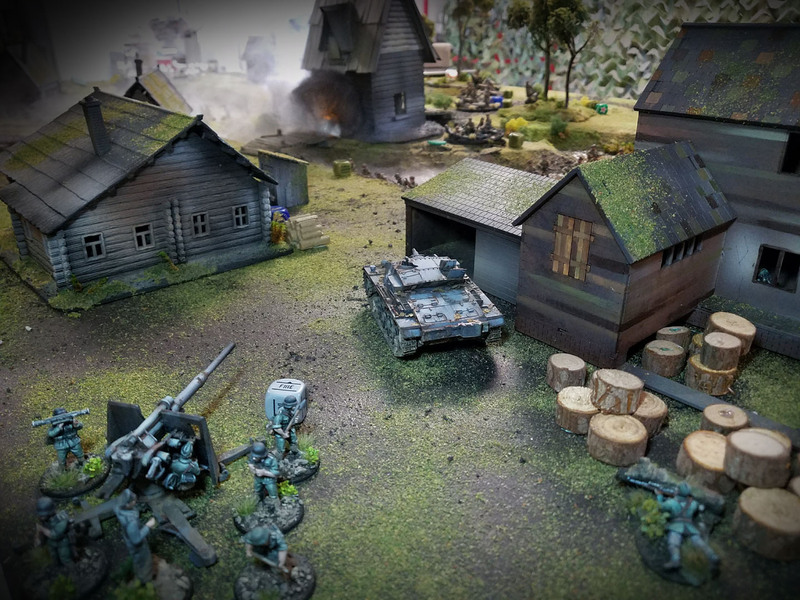 Following their successful defense of their base in the last German assault, the Red Army decided to push forward to reclaim the ancient wooden cathedral of Korbyn on the Pripyat river. No sooner did they arrive in the center of town that they learned a new German column was advancing in their direction. 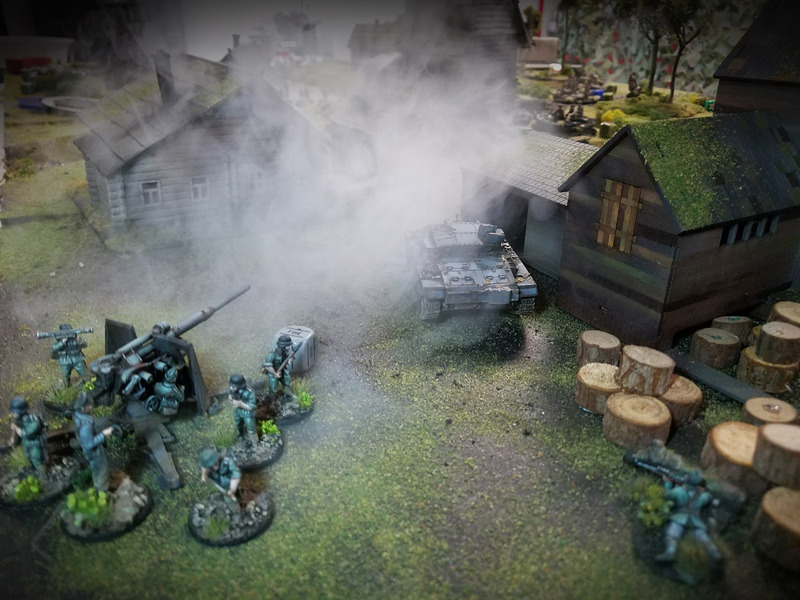 Unlike the advance guard which had previously been turned away, this group had heavy artillery, mobile assault guns and battle hardened veterans. This did not leave the defenders much time to prepare their positions. They hastily set up a perimeter around the church, leaving much of their own heavy weapons behind. Those would have to catch up in time before they themselves would be encircled by their enemies. The Soviet troops did attempt to conceal themselves using all the dense foliage in the heavily wooded landscape. While a few of the more nervous squads and weapon teams were pinned, most simply shrugged it off. 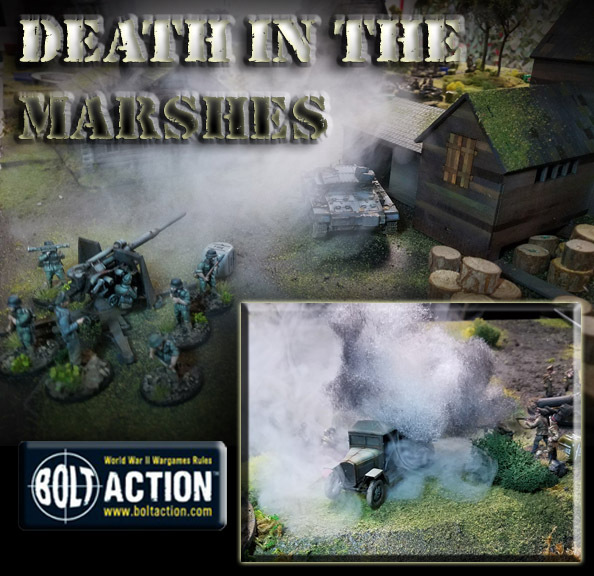 However, one shell landed right next to the church, killing Commissar Royitski!! The inexperienced squad now found themselves wearing what little remained of the dreaded political officer, but it almost seemed like a relief for the raw recruits. 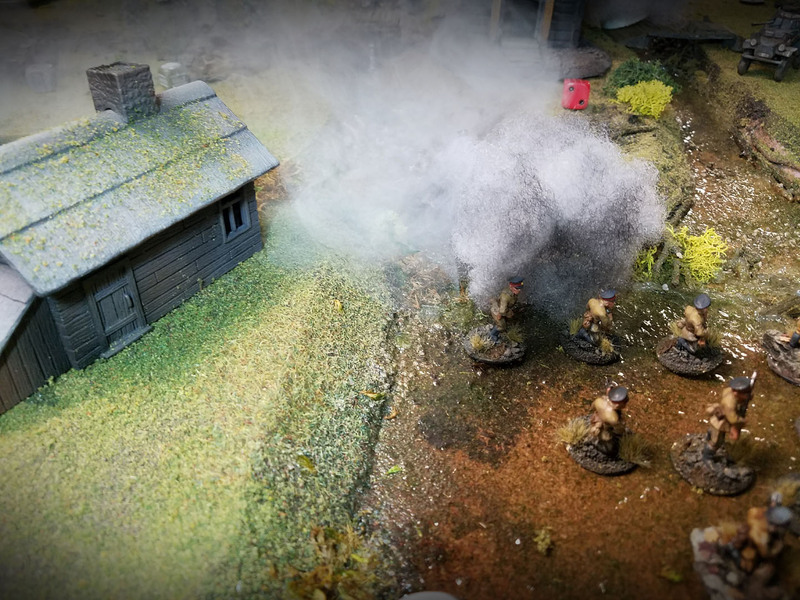 They had heard many stories whispered among the survivors of the last battle of Comrade Royitski shooting several members of the unit to "encourage" them to continue moving forward. The Red Army commander Major Albertovsky did not panic, however, and instructed his anti tank units to set up in ambush on one flank to discourage any transports or light support vehicles from moving in to surround them. 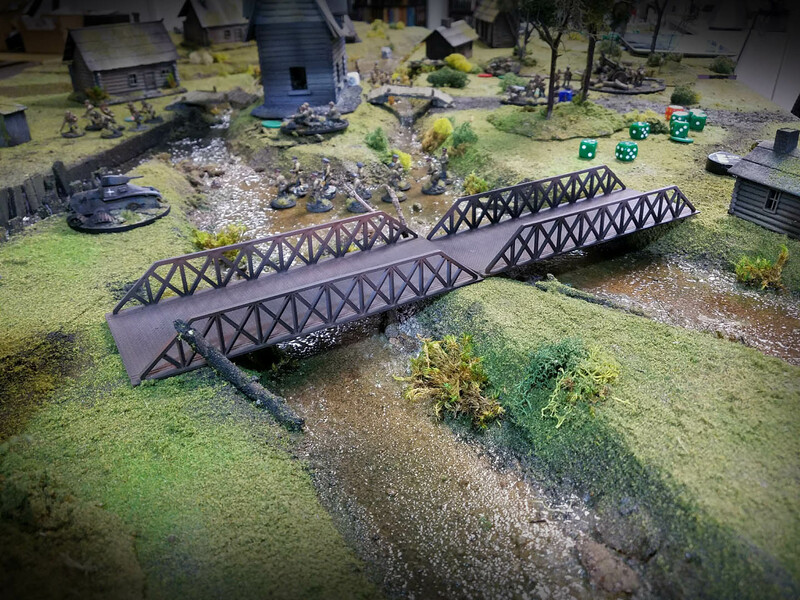 This was a crucial position which must be held, for if the Germans could race across this bridge they would be well on their way to Minsk!! 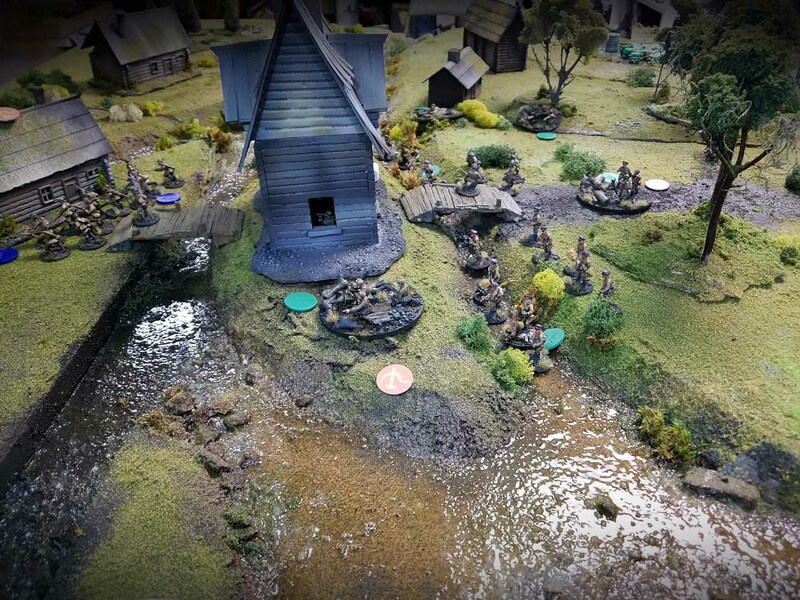 Angered at the death of Comrade Royitski, the NKVD units started to rush across the river to engage the German infantry. It became apparent quite early that dislodging the fanatical units from the command post in the church would take drastic measures. The crew of the 88 flak gun was ordered to fire directly at the wooden cathedral, and turn it into firewood if necessary! 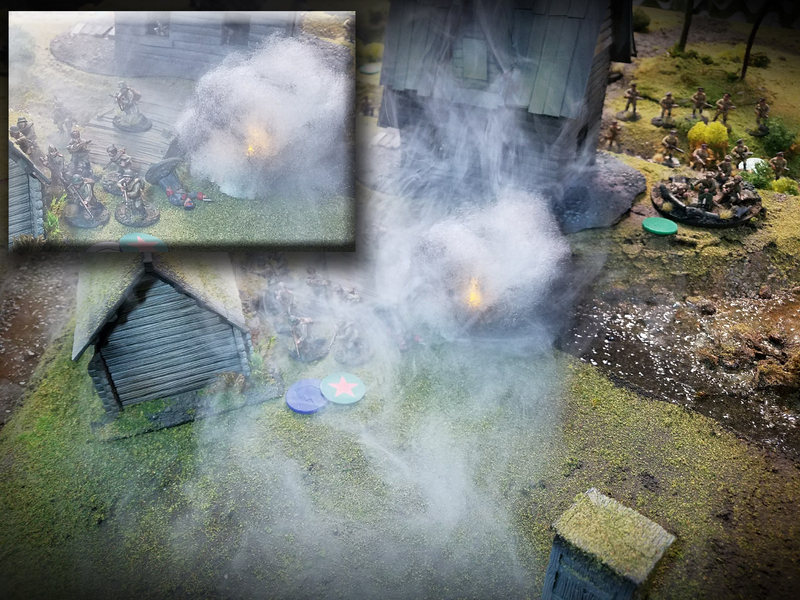 The ancient church did not fall, but the ensuing fireball killed an entire NKVD unit attached to Major Albertovsky... this left him with little choice but to evacuate the position with what remained of his command staff. While the Stug pressed its advance toward the river, a few of the Red Army reinforcements arrived. 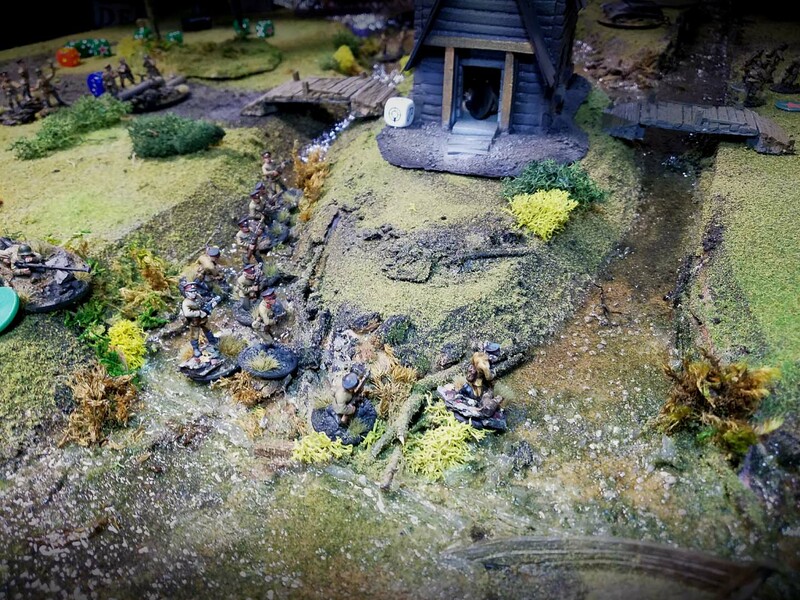 They immediately took aim at the German weapon teams placed on the left flank, wiping them out. 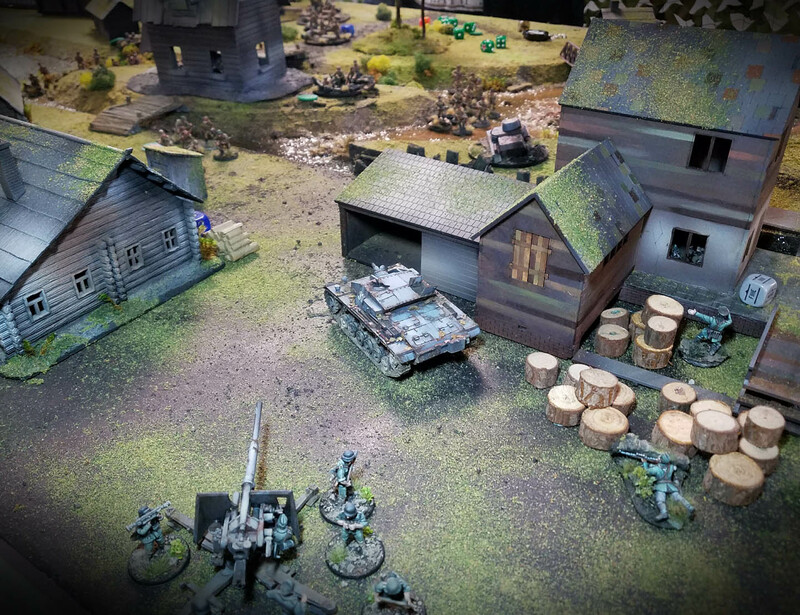 It was hoped that this action could draw the approaching veteran units as far away from the abandoned command post as possible. The Major could not be allowed to fall into a Wehrmacht prion camp! 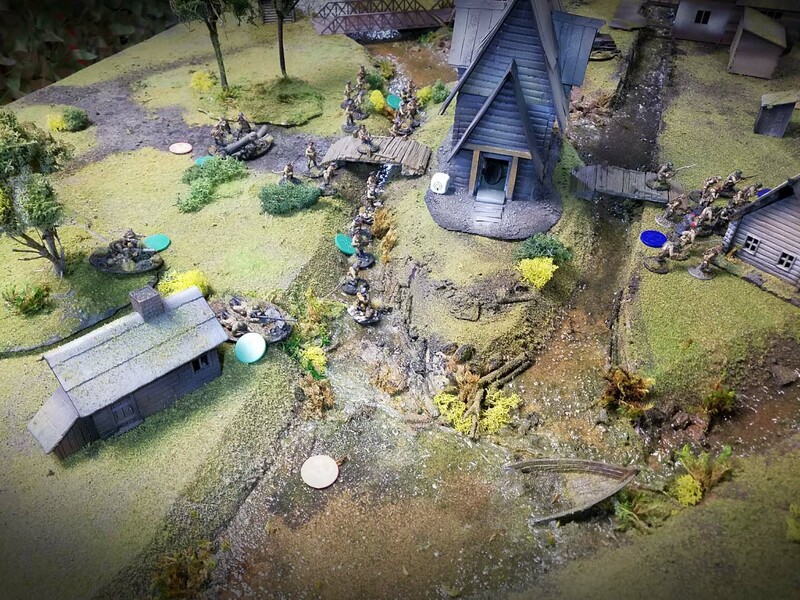 No sooner did the inexperienced units on the flank dispatch all German resistance on their flank than they heard the terrifying sound of aircraft overhead! Much to their disbelief, the plane soon caught fire and crashed harmlessly in the woods outside of town. They had been saved by the Quad Maxim truck, which had come from reserve not long before. 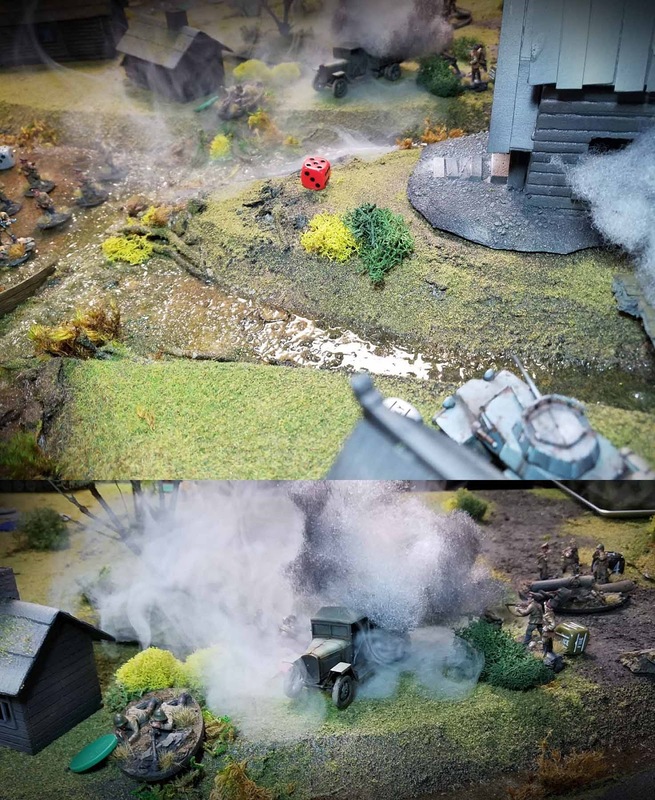 The celebrations were cut short when a German armored car zoomed out from behind the smoking church, putting a well placed autocannon round into the soft skinned truck. Yet another noble sacrifice by the Red Army, who had already suffered horrendous casualties. 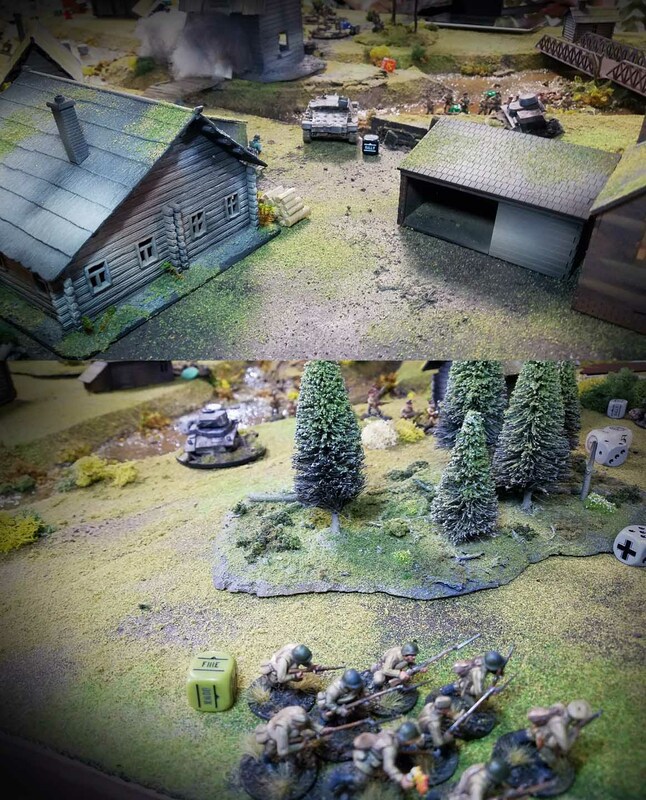 Seeing that the Soviet defenders had been severely ground down, the German commander personally led a last minute outflanking maneuver which placed a full squad of Heer soldiers right behind the evacuated command post. 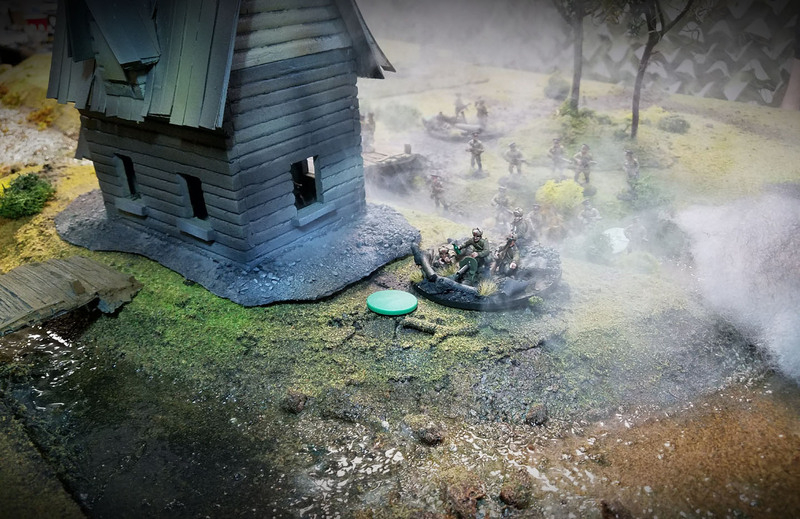 Major Albertovsky attempted to use the river itself as a hiding place, as he found himself completely surrounded by German armor, artillery and infantry. 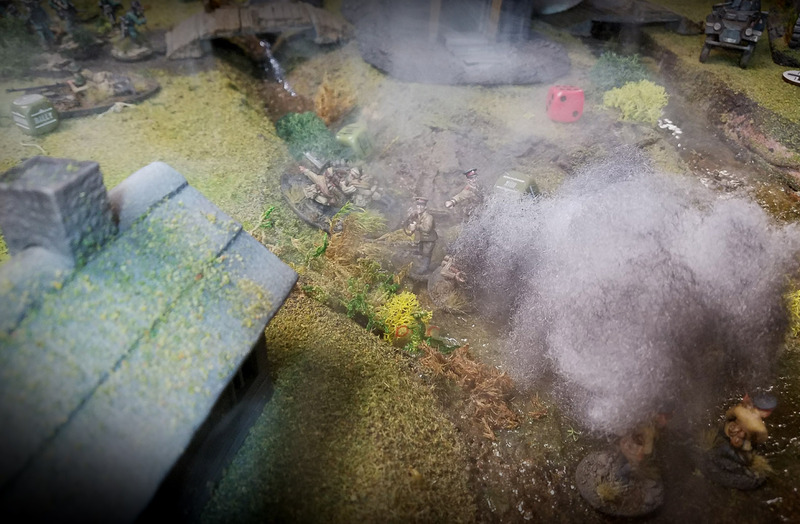 After a few games of cat and mouse, and more artillery rounds, the Axis invaders decided that a dead enemy commander was better than an escaped officer! 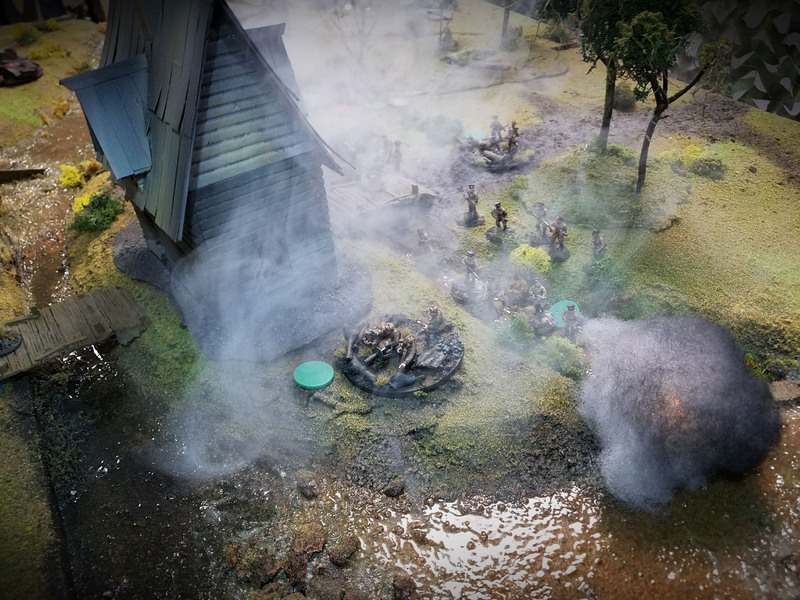 The Stug drove towards the hidden officer team and fired a howitzer round into their position, killing all of them. 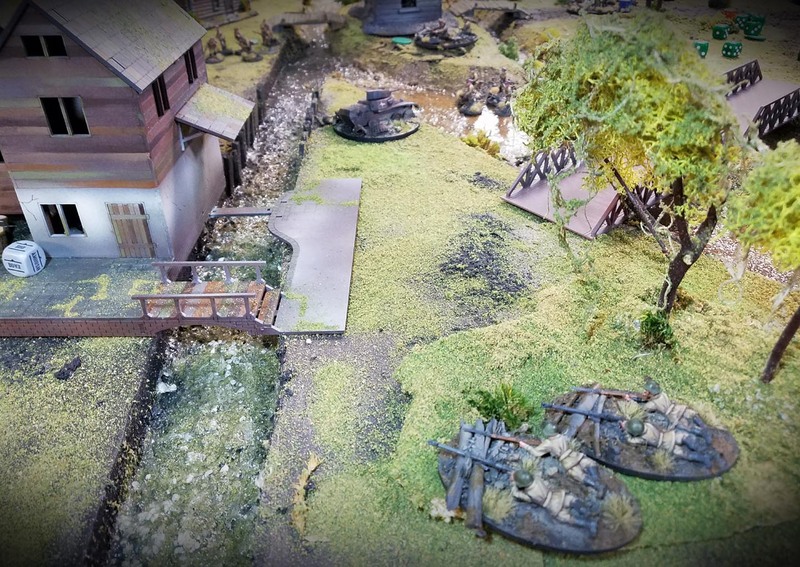 Life is certainly proving hazardous for Red Army officers in the Marshes. Who will take Comrade Royitski and Albertovsky's place? The Stavka High Command is already sending a replacement, and perhaps some more armored support to the area.